Alexandria Troas is an ancient Greek city situated on the Aegean Sea near the northern tip of Turkey's western coast, a little south of Tenedos (modern Bozcaada). 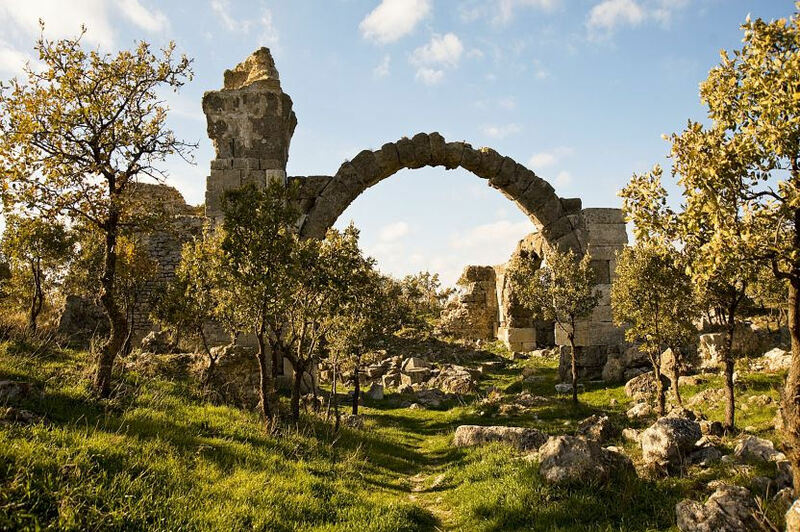 It is located in the modern Turkish province of Çanakkale. The site sprawls over an estimated 400 hectares (1,000 acres); among the few structures remaining today are a ruined bath, an odeon, a theatre and gymnasium complex and a recently uncovered stadium. The circuit of the old walls can still be traced. 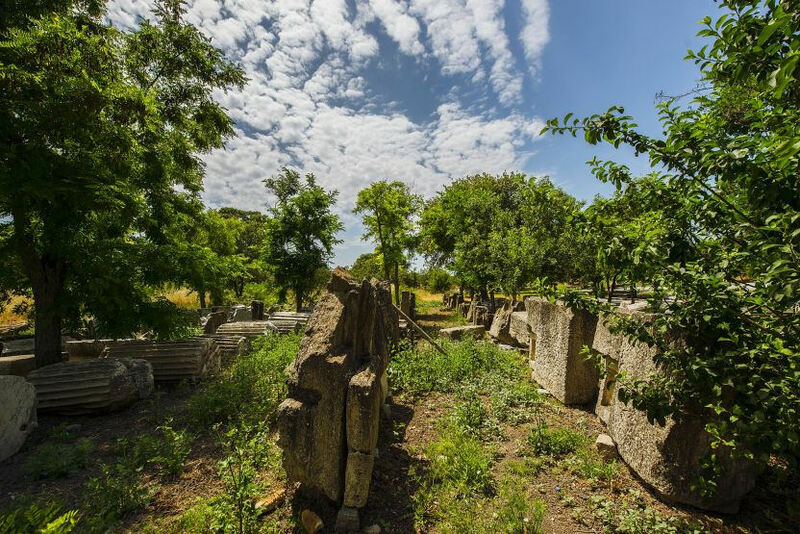 According to Strabo, this site was first called Sigeia; around 306 BC Antigonus refounded the city as the much-expanded Antigonia Troas by settling the people of five other towns in Sigeia, including the once influential city of Neandria. Its name was changed by Lysimachus to Alexandria Troas, in memory of Alexander III of Macedon (Pliny merely states that the name changed from Antigonia to Alexandria). As the chief port of north-west Asia Minor, the place prospered greatly in Roman times, becoming a "free and autonomous city" as early as 188 BC, and the existing remains sufficiently attest its former importance. In its heyday, the city may have had a population of about 100,000. Strabo mentions that a Roman colony was created at the location in the reign of Augustus, named Colonia Alexandria Augusta Troas (called simply Troas during this period). Augustus, Hadrian and the rich grammarian Herodes Atticus contributed greatly to its embellishment; the aqueduct still preserved is due to the latter. Constantine considered making Troas the capital of the Roman Empire. Remains of several buildings can be seen - the city gate, odeon, aora, theatre and a small temple- but i is the arches of the Herodoes Atticus that mst strike the visitor today. The port of the city is now a small pink lagoon which can be visited by walking along the beach from Dalyan. Large abandoned columns still lie here and there from the granite quarries nearby at Kocali. At one time, these columns were exported by ship to Istanbul and around the Aegean. In Roman times, it was a significant port for travelling between Anatolia and Europe. Paul of Tarsus sailed for Europe for the first time from Alexandria Troas and returned there from Europe (it was there that the episode of the raising of Eutychus later occurred). Ignatius of Antioch also paused at this city before continuing to his martyrdom at Rome. Several of its later bishops are known: Marinus in 325; Niconius in 344; Sylvanus at the beginning of the 5th century; Pionius in 451; Leo in 787; Peter, friend of the Patriarch Ignatius, and adversary to Michael, in the ninth century. In the 10th century Troas is given as a suffragan of Cyzicus and distinct from the famous Troy (Heinrich Gelzer, Ungedruckte ... Texte der Notitiae episcopatuum, 552; Georgii Cyprii descriptio orbis romani, 64); it is not known when the city was destroyed and the diocese disappeared. The city remains a titular see of the Roman Catholic Church, Troadensis; the seat is vacant following the resignation of the last bishop in 1971. Troas is also a titular see of the Orthodox Church under the Ecumenical Patriarchate. The most recent hierarch, His Grace Bishop Savas (Zembillas) of Troas, served 2002-2011. He is now Metropolitan Savas (Zembillas) of Pittsburgh in the Greek Orthodox Archdiocese of America. Karasid Turkomans settled in the area of the Troad in the 14th century. Their beylik was conquered by the Ottomans in 1336. The ruins of Alexandria Troas came to be known among the Turks as Eski Stambul, the "Old City". The site's stones were much plundered for building material (for example Mehmed IV took columns to adorn his Yeni Valide Mosque in Istanbul). 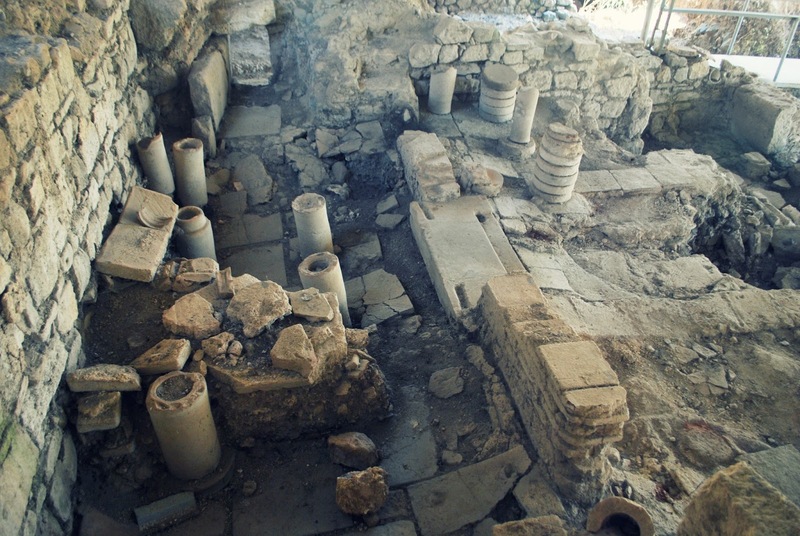 As of the mid-18th century the site served as "a lurking place for bandetti"
Alexandria Troas also played an important role in the spread of Christianity. Saint Paul visited the city on his second and third journeys.